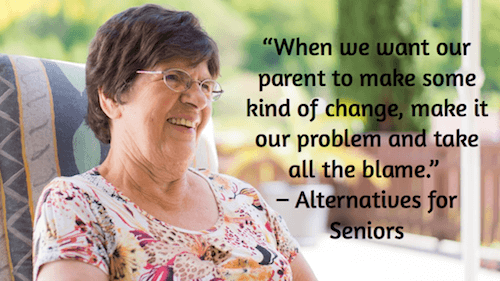 Caring for senior parents gives adult children peace of mind because they know they are providing loving care and getting to spend more time with their parents as they enter the final chapter of their lives. 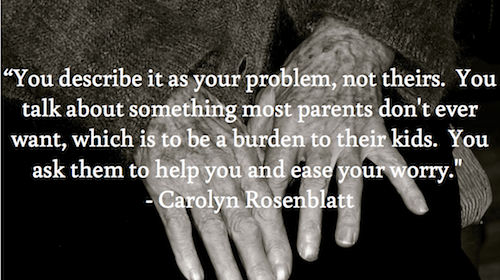 However, caring for senior parents is not easy, especially when they have dementia and are stubborn. 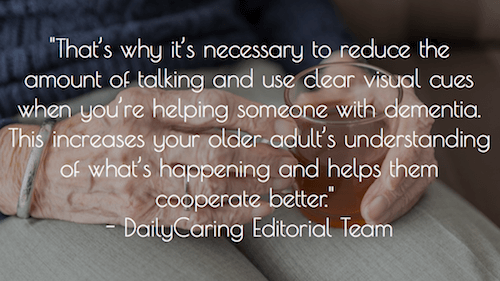 Resisting care and digging in their heels are two hallmarks of dementia, and they are among the most common reasons that adult children look for help as caregivers. 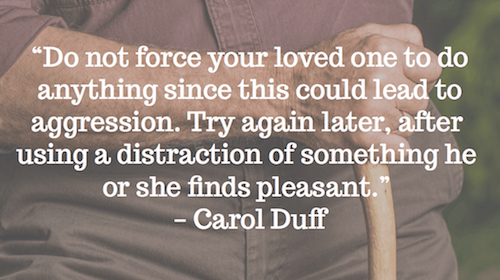 If you are unsure of how to deal with your stubborn elderly parents with dementia, you are not alone. We understand the challenges you face in getting your parents to the doctor, gaining their cooperation, convincing them to bathe and brush their teeth, and communicating with them. That’s why we’ve rounded up tips from caregivers, medical professionals, gerontologists, dementia experts, and other authorities, and created this list for you. 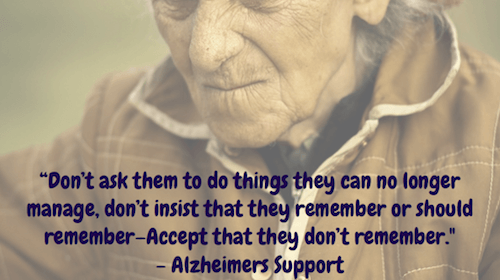 We also have categorized the tips and listed them alphabetically within each category to make it easier for you to find the tips you need most; thus, our tips for dealing with stubborn elderly parents with dementia are not ranked or rated in any way. 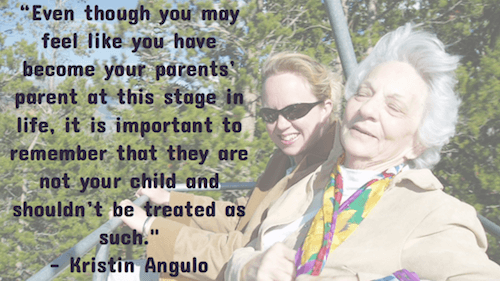 Be straightforward when speaking to your parent. “Less information is sometimes more. 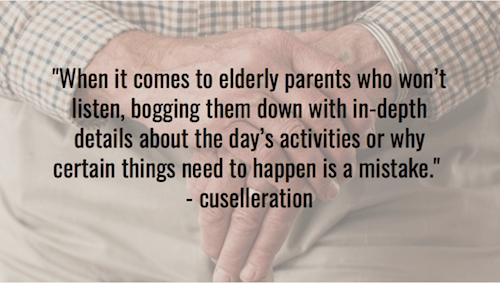 When it comes to elderly parents who won’t listen, bogging them down with in-depth details about the day’s activities or why certain things need to happen is a mistake. Communicate with your parent assertively. “Good communication can reduce frustration by allowing you to express yourself while helping others to understand your limits and needs.Assertivecommunication is different from passive or aggressive communication. When you communicate passively, you may be keeping your own needs and desires inside to avoid conflict with others. 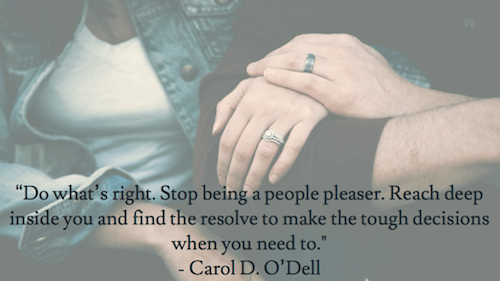 While this may seem easier on the surface, the long-term result may be that others feel they can push you around to get their way. “When you communicate aggressively, you may be forcing your needs and desires onto others. While this allows you to express your feelings, aggressive communication generally makes others more defensive and less cooperative. 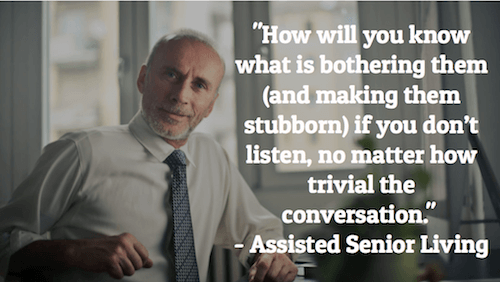 Don't fire questions at the senior or ask complicated questions. “First off, don't pepper elders with questions or complicated choices. Instead of saying, ‘Do you have to use the bathroom?’ say, ‘We are going to the bathroom.’ If the wordshowerupsets them, don't use it. ‘Come with me,’ you say, and you end up at the shower. 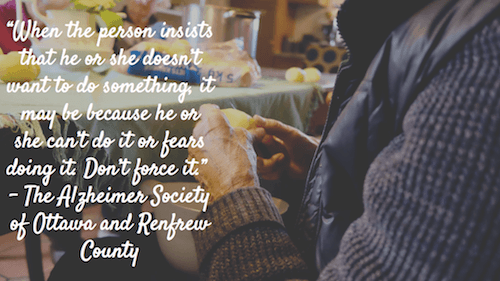 If someone with dementia is frightened, acknowledge it and say, ‘You are safe with me. I'll protect you.’ After they're calmer, you can try to get them to do something. Don't use lengthy explanations, especially when trying to convince your parent to shower. “Forget all the wordy explanations. 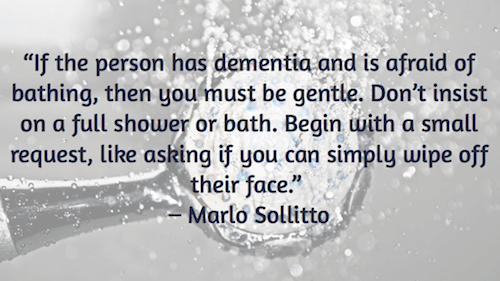 If a person living with dementia can't remember three simple words after a minute or two, they are not going to understand or remember your long-winded explanationof why they should or need to take a shower. 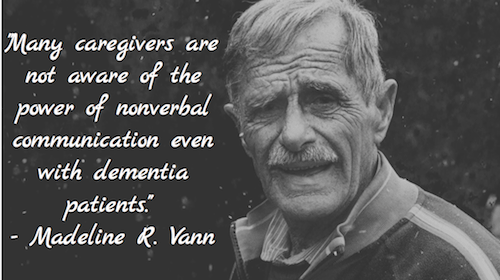 Pay attention to what your loved one is attempting to communicate through stubborn behavior. 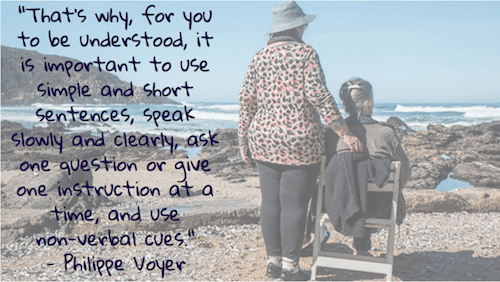 “While understanding dementia begins with knowing what to expect, it continues with knowing what prompts these behaviors. 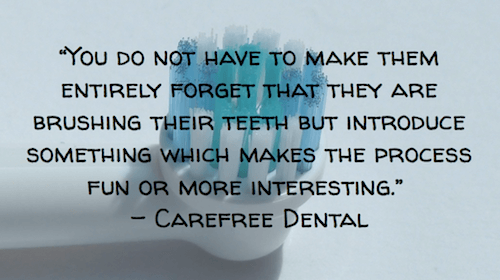 As soon as you can identify what prompts the behaviors, you will then able to deal with them properly. Talk less and use more visual cues when communicating with your parent. “When someone has dementia, they tend to pay more attention to what they see, not what they hear. As humans, our instinct is to get information from what we see. Visual information becomes even more dominant as changes in the brain make itmore difficult to understand speech. Create a calm, quiet environment when trying to get your parent to take medication. “When it’s time to give medication, start with a calm environment. Make sure there aren’t any loud sounds like TV or commotion like lots of people around. You could also try playing soft, soothing music. Get creative to gain agreement from the patient. “Some time ago a highly regarded colleague, Sharon Roberts, RN, performed a small study on bathing challenges in persons with dementia. She informed me that she learned one of the greatest methods to reduce resistance or refusal was simply to gain agreement from the patient. This often means the caregiver must get creative in order to identify a situation that might encourage patient agreement. Make accommodations to make bathing easier. “The first step is to determine why they have stopped bathing. If depression is the cause, speak with their doctor. Therapy and medications can help. If modesty is a problem and the elder doesn’t want a family member helping them bathe, they may be open to having a professional caregiver provide bathing assistance. “If they are afraid of the water (or slipping in the tub), there are many types of shower chairs, showerheads and other products that can help. 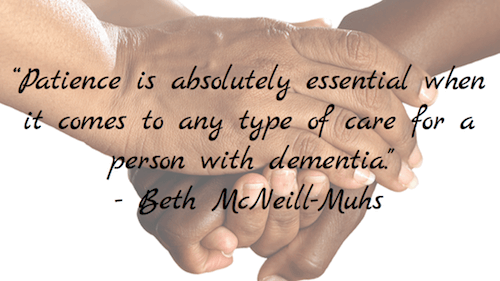 If the person has dementia and is afraid of bathing, then you must be gentle. Don’t insist on a full shower or bath. Begin with a small request, like asking if you can simply wipe off their face. As they get used to this, you can gradually add cleaning other parts of the body. Be sure to chat with them during the process and let them know what you are doing as you go. Make bathing familiar and non-threatening for stubborn parents. 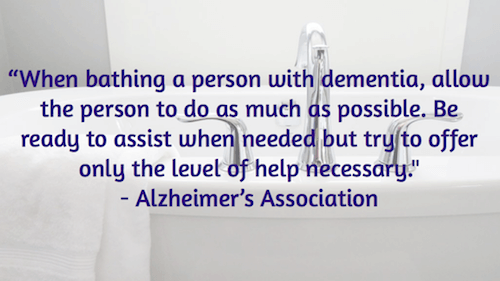 “Trying to convince those with dementia that they need to bathe seldom works. Actually, anyone required to bathe might get defensive. Forcing your mother to take a tub bath or shower could be dangerous for both of you. “Think back to the kind of bathing she enjoyed in the past. What was her routine? Try to make the bath area appear familiar, inviting, and non-threatening to her. Suggest bathing at the time of day she’s usually most cooperative. Many care recipients respond well to morning baths, since they’ll only have to dress once for the day. Use bribery if it is warranted. 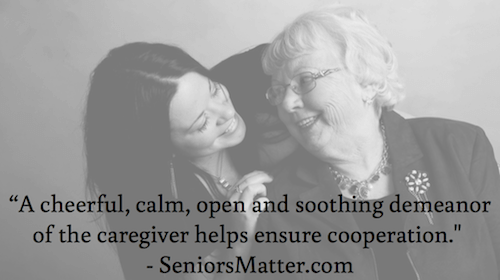 “Sometimes adult caregivers can view their elderly parents’ uncooperativeness as a type of temper tantrum. Realize this is not the case. Small children possess the ability to reason, which is why you don’t want to reward a tantrum. However, cognitive decline in seniors can lead to an inability to reason effectively. That’s why reward systems are A-OK when trying to elicit cooperation from an older adult. 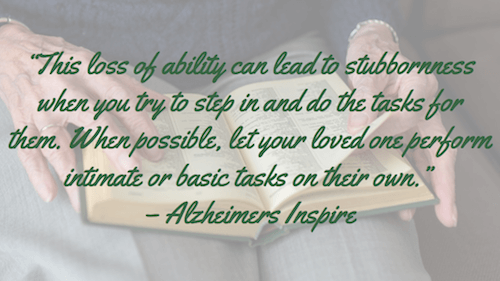 Be prepared for a stubborn parent to refuse a non-family caregiver's help. “Many times in-home caregivers’ best efforts are met with anger or even abuse dished out by the elder they are intended to care for. 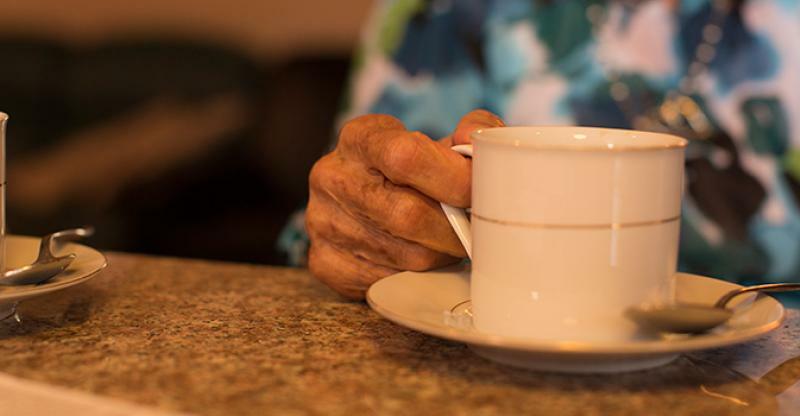 It is crucial for the family and hired caregiver(s) to determine the underlying reason for a senior’s lack of cooperation and find ways to remedy the situation. Carefully weigh decisions about tasks for a stubborn parent. “Some sort of tasks are difficult to take help for. The person may feel bad about being cleaned/ bathed etc. This sometimes results in the person resisting help, even if the person cannot do the task alone. The person may even try to hit out. 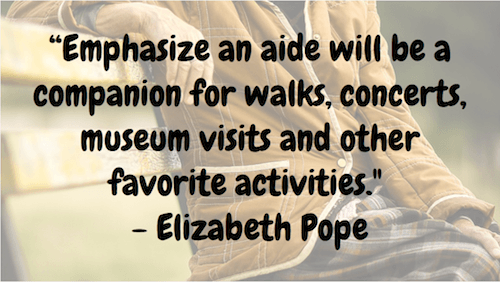 “Find ways to relax the persons with dementia and to make them feel comfortable. “Soft, soothing music can be helpful for many persons because such music creates a more relaxed mood, reduces agitation, and improves their cooperation. Look through the stubbornness for clues about an underlying problem. 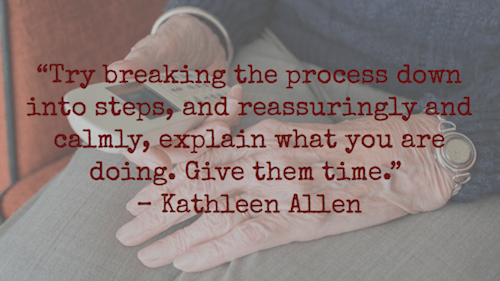 “Caregivers need patience and persistence to sort through patients' behavioral clues. They should begin by ruling out straightforward physical factors such as pain, injury, constipation, infection, wet briefs, tight or uncomfortable clothes, or a patient feeling too hot or too cold. “A patient may provide clues about an underlying problem. In one actual situation, a patient complained bitterly that his foot hurt. In the emergency department, an assessment revealed a severe bladder infection. Following treatment, the patient said his foot no longer hurt. He had provided the biggest clue—that he had pain—and it was up to caregivers and health care professionals to find the source. Make the tough decisions. 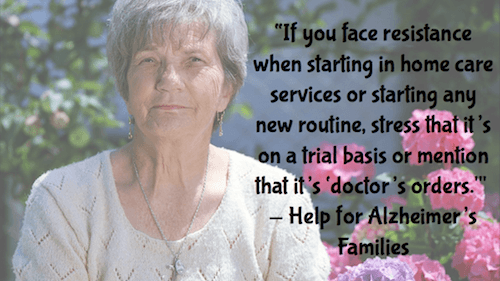 “So I commiserate here, but what if your elder/infirmed parent is being stubborn about not taking their meds, not going to theneurologistfor a diagnosis, not giving up driving when they’ve already had a couple of fender benders, or insisting on living on their own–only it’s not on their own–neighbors, friends, church members and you are there all the time and still, you worry about them falling or burning down the house not because you’re paranoid, but because it’s a valid concern. 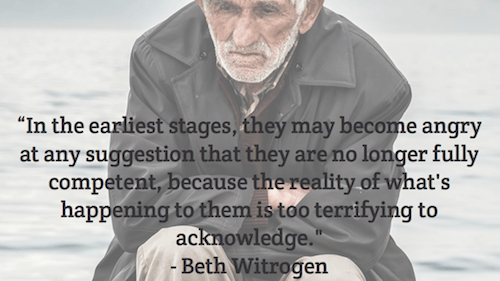 “That was my situation, and while frustrating and worrisome, there are many horror stories of elder situations that have had catastrophic endings. “So, what do you do when you want your parent to feel respected and you really don’t want to take away their independence, but you’re worried about them? 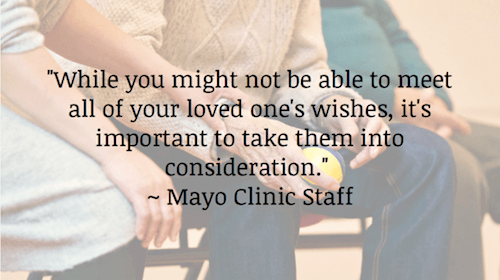 Let them know you’d like to be their care/decision partner. Hopefully, you can get them to agree to a partnership. Pick your battles. 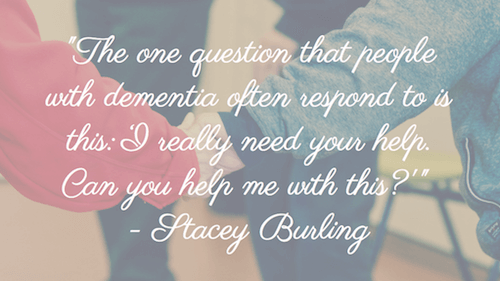 “For many people with dementia, the world in which they live is not always the same as the one in which their caregivers live. Time works differently for a person with dementia, and many things which the caregiver knows are long in the past may be part of the present for a loved one with dementia.